Time for Halloween Tutorial #3! I am really trying to get these up in advanced up of Halloween so you have time to gather your materials and practice. Oh, and did I mention that I will be in the Dominican Republic the week of Halloween for vacay? 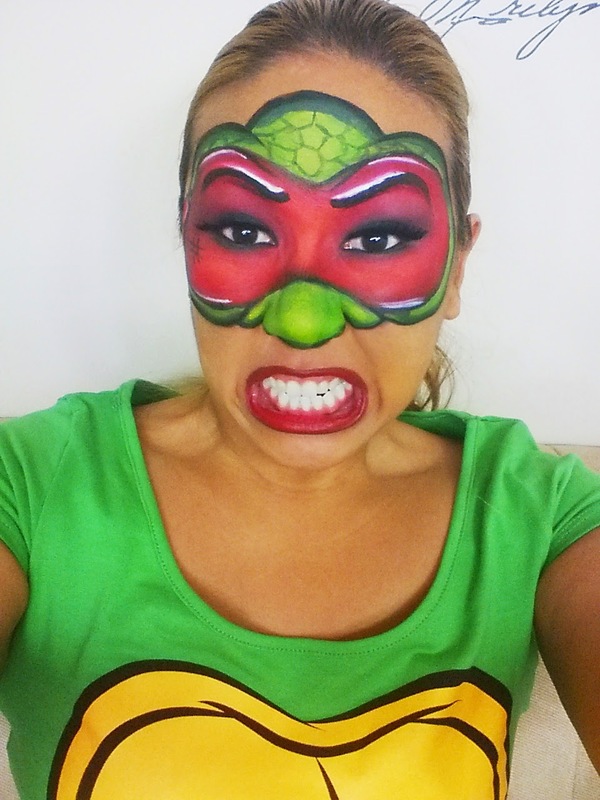 Today I decided to recreate a character from a very favorite childhood cartoon - Teenage Mutant Ninja Turtles! On top of that, they came out with the new movie this year so a whole new generation is getting in on it. Check it out! I must say, I think I preferred the more cartoon-ish version of the old TMNT versus the steroid-pumped new guys. With that said, I am still a girl so I will make this makeup as cute as possible. I decide to do a mask face paint instead of an entire green look - much more wearable i'd say. To accomplish this, I used my Graftobian Pro Paints which are water activated body makeups that are super opaque and in a variety of shades. 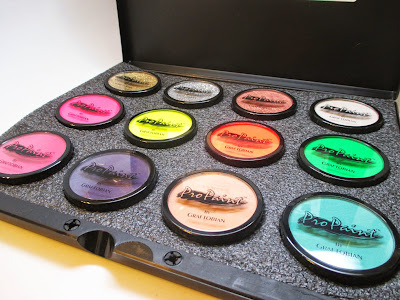 I absolutely love this product for any kind of face or body painting - the color impact is amazing and it's easy to wipe away and start over since it's water based. I chose to Raphael since he had the color red and I figured I could bust out some red lipstick! I used a new lipstick I picked up from Wet N Wild called StopLight Red which was just $1.99. I scored this awesome TMNT dress from Amazon. I love that it flares out and is super flattering. Throw on some heels, green if you have them, and you're good to go! I've got one more makeup tutorial to go and it's one of those super cute but easy last minute costume ideas. Stay tuned!